Get it now with a special price! Already available! Get it now with 25% discount! I do calisthenics more than 8 years. I’m a Multi Champion of Regional Championship and Multi Prizewinner of Russian Competitions. Many people in the world know me as a symbol of pure performance and creator of some complicated powerful tricks such as Impossible Dip (Triceps Extension Dip). In spite of the fact that I’m not genetically predisposed to this sport, I began to study anatomy and micro-mechanics which later gave me Bachelors and Master Degree. However, I decided to link my future with coaching. My work experience is 5 years. During this time I worked with clients of different ages and abilities which gave me an amazing experience. On the second year of my work as a trainer I was invited to the Rehabilitation Center where I trained athletes with serious injuries under the guidance of the Doctor. I expanded my knowledge of anatomy and physiology because I had to pass the exams to work with these people. Later I created my own training system based on these experience and knowledge from the Center. Meeting new people and broading my horizons I enriched my vision of calisthenics. Later there appeared an idea to create a web site where I can share my experience with you. I just started online coaching with Artem Morozov. I never thought this concept was something for me and that these coaches are all super expensive. I met Artem during a workshop organisized by Calisthenics Nederland. This workshop was such an eye-opener towards the possibilties of Calisthenics. The workshop made me hungry for more. Not only the exercises but also the way of teaching Artem had. I asked him about his online coaching, wanting to know If it would fit in my busy agenda and how much it would cost me. His answers convinced me and I signed up! Since a month we are working out. He gave me insight in my weak point (of which I though they were my strong ones) and we did some trainings by Skype. 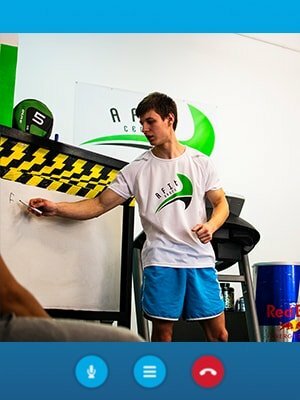 Artem watched and analysed my reps and gave feedback after each set. This made me aware of my mistakes in my form so I was able to improve myself. After the first month I already feel improvement! A spreadsheet he made, makes my improvement insightful! I will continue training with Artem till I reach my goals. Then we will set new goals and keep going! Artem has been training me for the last 5 months. First of all he is very passionate about the Sport, and he radiates that energy of Passion when he coaches and explains how to do any particular exercise. When you listen behind his words, suddenly you understand it’s not just about the Sport – each movement has to be executed correctly, which borns Beauty. After you train with Artem you want to find that Beauty within you, and express it outwardly – Gymnastics becomes an expression of Beauty and Balance. Yet, each move is also precisely calculated, energy measured and applied in the most focused way according to many physical laws governing our bodies I was not fully aware before. I had not much idea about brain-body mobility and didn’t know how to use my body in the most powerful but energy-efficient way – these all Artem has been gradually teaching me through our bodies. When you listen more behind his words, observe his moves and repeat those exercises yourself you come to realize the amount of Struggle and striving required to become Better, better than you was yesterday. You come to realize the potential locked within all of us, and you try to apply that Knowing in your daily life. Artem created best individual program for myself considering all my weak and strong points, guides me along the way and helps me when I am in doubt. When I look holistically at our training, I come to realize it is making me a more balanced, better person, not just body wise. In terms of body I noticed dramatic improvement of my strength and body-brain coordination since we started, and I am very happy to see how my body develops. I admire Artem’s passion for perfection in all moves, up to the point catching myself thinking to wear those white socks to have that sharp look Artem has on impeccably lit reference photos he takes in the studio; I can’t help myself smiling thinking about it ) . Artem is very humble person and a good listener; he teaches with his actions and attitude the Struggle of strenuous exercises purifies our Soul and opens the Heart to speak Sincerity. I am very grateful to Artem for all he does for me and for inspiring countless others. I have only these words to add, spoken by one marathon runner about the Source of All, which I feel very relevant to our Journey so far: "He is really something! He always likes to compete with himself and transcend himself. God smiles with Joy Because he competes with himself. God cries with Joy Because he does really transcend himself."